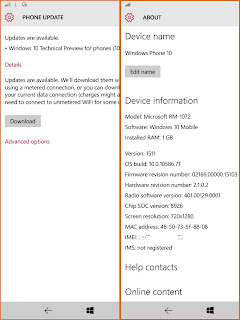 News about Windows phone update 10 this I actually had long been in the spread by Microsoft, but the description applies only to announce in a mobile phone that supports the Windows phone OS 10 and Type new phones on it, on fast ring insider option. 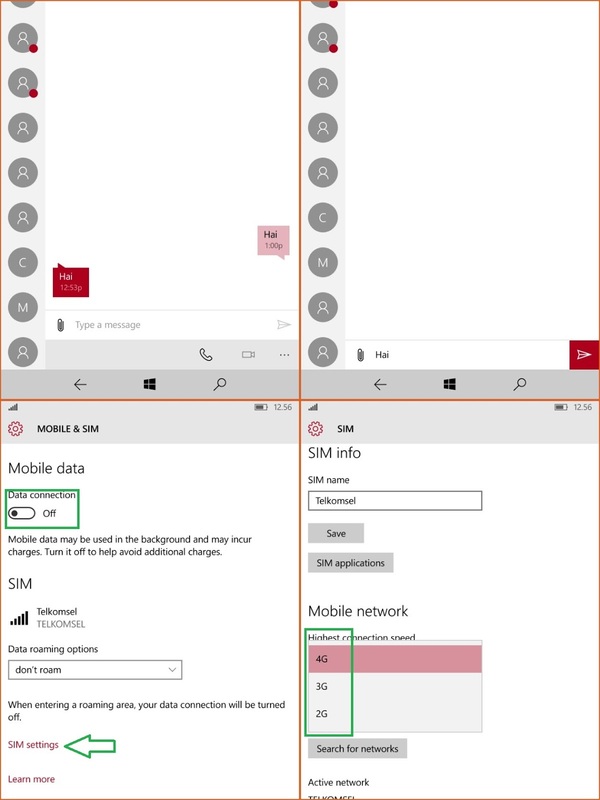 Unlike Lumia 625 H, although it's been updated to WP 10 Build 10586.71 ... it still has not been able to enjoy send sms and use the internet connection through the SIM card as well. 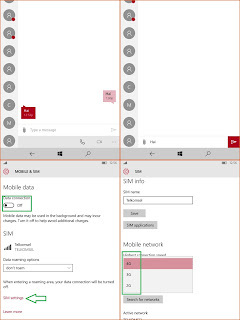 Below is a screen shoot of WP 10 on Lumia 640LTE (not LUMIA 625H) that already can enjoy send a message and an internet connection, be it via a sim card or Wifi. You are on the website page WINDOWS MOBILE PHONE - setting and Upgrade. 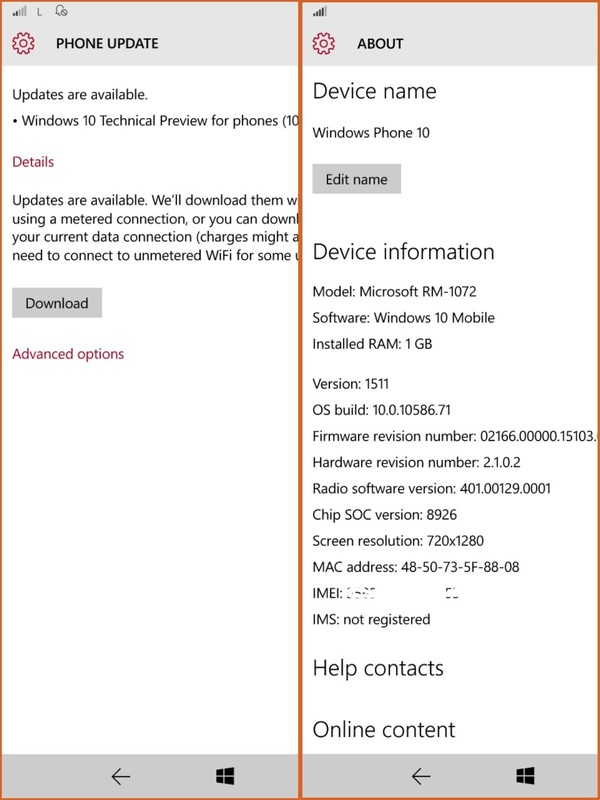 WP build 10. 0. 10586. 71 release With the link URL http://hand-uk.blogspot.com/2016/02/wp-build-10-0-10586-71-release.html for this articles, you can bookmark or share to any. Our expectation that Windows smart phone users, can understand and know about OS Windows phone. WP build 10. 0. 10586. 71 release Is a link for you, How to use the pure smart phone.